Escape in the Brazos Valley. 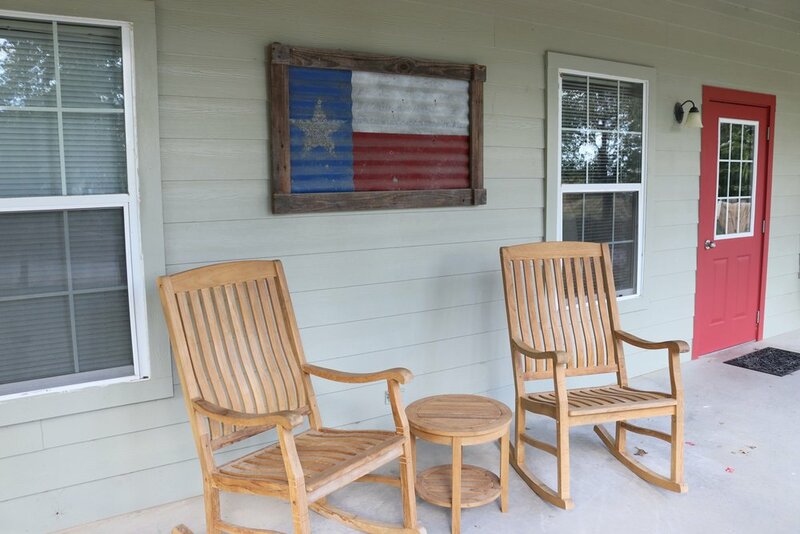 Hidden deep in the Brazos River Valley 45 min southeast of Waco, Texas, is our secluded and quaint camp - the first offshoot of the ministry that started in Huntsville, TX. Springs, the first site on that property, was appropriately named after the multiple natural springs that feed our 13-acre private lake. Spending a week or weekend at Forest Glen is sure to provide you and your group with fun, stronger friendships and opportunities to get closer to God! Springs features a beautiful lake, open pastures, oak-lined hiking trails, trickling creeks, excellent dining menu, and awesome recreation. The accommodations range from modern 10-person cabins to high-occupancy bunk houses. Whatever experience you are looking for, we’re sure you can find it here! Get a glimpse of Springs. Serving Waco, Temple, Austin, College Station, & Dallas/Fort Worth. Common area with living room, kitchen, and laundry facilities. Time-lapse video of volunteers from The Rock Ministries and FUMC Bryan, TX building a house at Forest Glen Springs Camp near Rosebud, TX in March 2017.